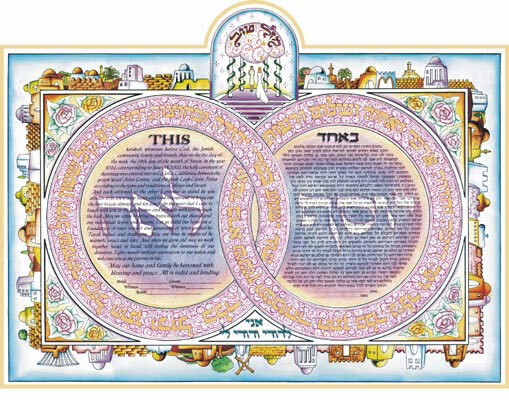 This Double Ring Ketubbah shows Intertwined rings symbolizing Jewish marriage, which are encircled by panorama of Jerusalem. Blank Ketubah comes with white background. 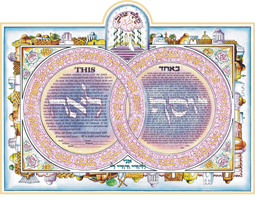 Optional background with names or initials of bride and groom available. 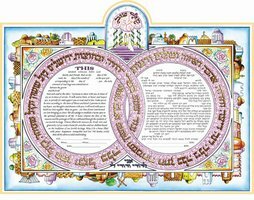 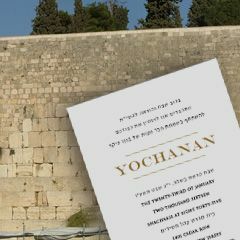 Ketubah Size: 14.5" x 19"